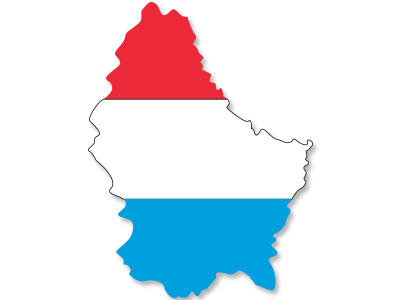 You can find the income tax rates for 2014 here, in relation to Luxembourg. This guide also covers the income tax base for residents and non-residents, allowable tax credits and deductions, the special expatriate tax regime, capital income tax rates and information on double-taxation treaties. are subject to personal income tax on their total income, from all sources worldwide. are subject to personal income tax on sourced income from Luxembourg only. Solidarity Surtax of 7% of taxes, or 9% for taxpayers earning more than EUR 150,000. Subject to limitations, deductions are permitted for insurance premiums for life, accident, sickness; individual pension schemes; alimonies and annuities; childcare and housekeeping cost; charitable contributions; interest on personal and mortgage loans. Luxembourg does not have a special expatriate tax regime for foreigners. List of countries having a tax agreement with Luxembourg. The United Kingdom and Belgium are bound by a double taxation treaty. Tax returns are due by 31st of March of the following year.. Consult Taxation trends in the European Union.